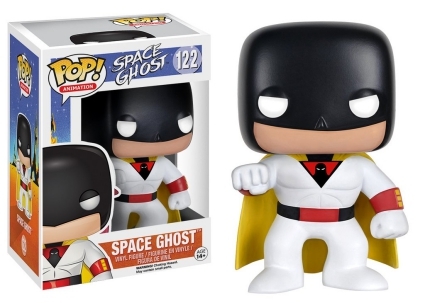 The intergalactic hero flies into your collection with Funko Pop Space Ghost. Whether you know him from comics, his original Hanna-Barbera television series, or from his Adult Swim talk show, Space Ghost looks great in vinyl. Despite an animated debut in 1966 that lasted only two seasons, Space Ghost's titular hero remains quite popular. Of course, the more recent Space Ghost Coast to Coast probably helped grow his relevance. While there were several decades in between the shows, the cartoon appearance of Space Ghost stayed largely intact. Thankfully, his Funko Pop Space Ghost figures follow suit. Order Funko Space Ghost Figures on Amazon. The muscle-bodied space hero wears a black mask with a white spandex suit. And, since no superhero is complete without a cape (thanks, Batman), Space Ghost's yellow cape is seen behind him. 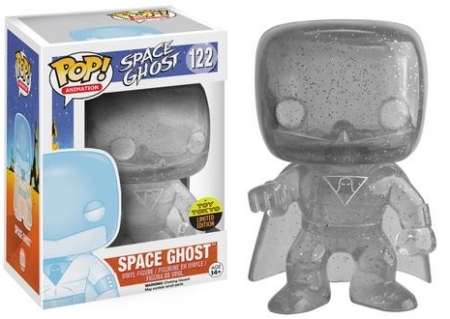 Additionally, the Space Ghost invisible variant is a 2016 New York Comic Con Toy Tokyo exclusive. Also released in the Pop! 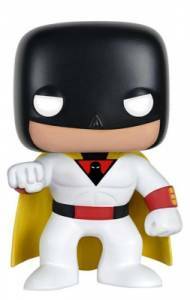 Animation line, Funko Pop Space Ghost includes 2016 San Diego Comic-Con Toy Tokyo exclusives for the supe's rivals: Zorak and Brak. 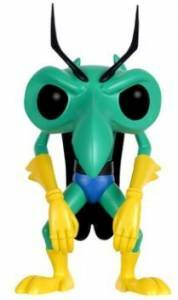 A large mantis, Zorak stands slightly hunched wearing yellow gloves and boots (and a cape!). 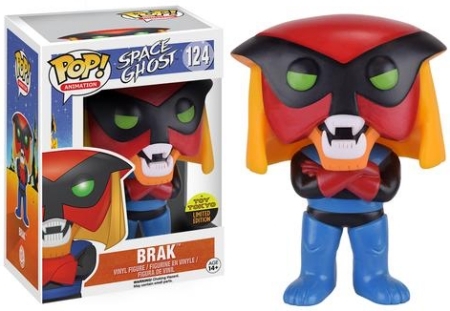 Meanwhile, the space pirate known as Brak is posed in the original blue suit and red mask. 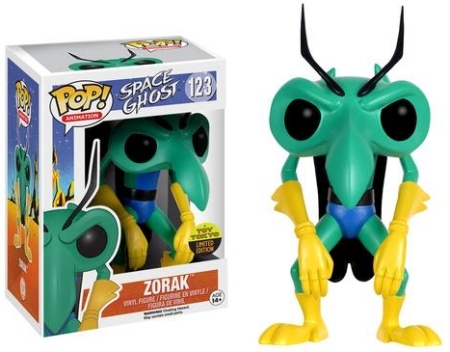 See more information about Space Ghost figures with our related Funko guides.